NEW YORK, NY--(Marketwired - September 20, 2016) - The ridiculous routine of juggling handfuls of capsules and bottles just to get the recommended daily requirement of vitamins and supplements can now stop. That approach is virtually obsolete thanks to a new stripped-down, sleek and streamlined system that is completely NÜD with just the "bare" essentials for healthy living. 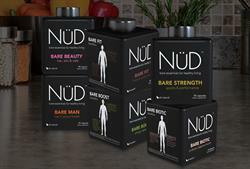 NÜD (www.NUDtrition.com) is a New York-based provider of all-natural, vitamins, minerals, nutritional supplements and nutraceuticals that are completely "bare" of all fillers and synthetics. All products are sourced and manufactured in the U.S. and are designed to help maintain optimum health and support anyone's unique lifestyle. NÜD has carefully crafted, goal-specific daily vitamin supplements and vitamin packs fit for real people with real goals. 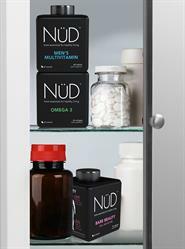 In addition to its passion for vitamins and supplements, NÜD also brings order to medicine cabinets and counter tops which have historically been inefficiently cluttered with bulky, half-filled bottles of all sizes and colors creating havoc and confusion in confined spaces. NÜD makes the system better. It wants cabinets to be clean and tidy. That's why NÜD developed the stacked bottle concept-where anyone and everyone can get the vitamins and minerals, supplements and nutraceuticals they need in an organized, individualized and flexible way. NÜD's patented stackable containers are shaped like cubes to efficiently maximize space. As a bonus, the stylish all-black containers boast bold graphic designs of the human body that could easily be considered a work of art -- while clearly showing the consumer where that specific vitamin will benefit the body. 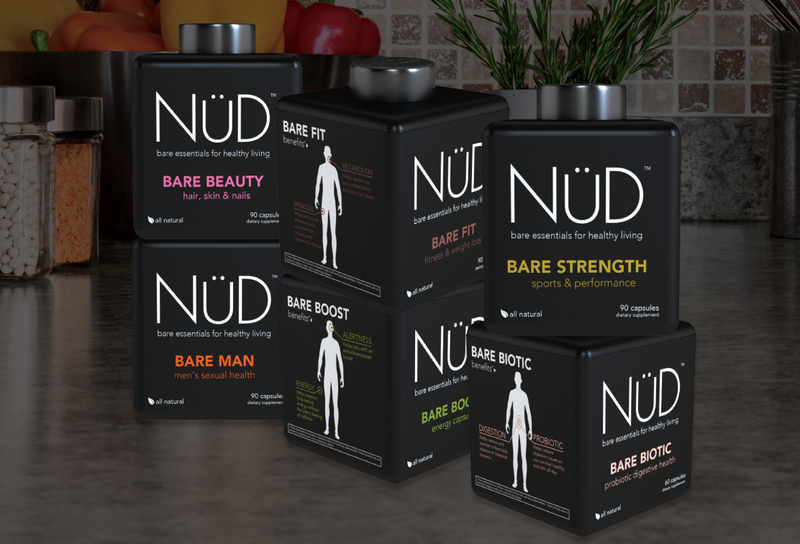 "We put our products in boxes -- not our customers," says Naomi Ostrove, chief operating officer at NÜD, which will unveil its stackable product line to the public Sept. 22-24 at the Natural Products East Expo (Booth 8631) in Baltimore, Md. "Our mission is to simplify nutrition while helping customers take an active role in their nutritional lives. NÜD truly offers something for everyone. "NÜD believes health and fitness goals are easier to achieve when reinforced daily with the right ingredients," adds Ostrove, "so we've carefully designed goal-oriented daily vitamin supplements and vitamin packs that make it simple to hit the ground running and maintain discipline over time. Our stacked-bottle concept also gives consumers the organization and flexibility to get exactly what they want and need without paying for extras. Bottom-line, our products fit seamlessly into your routine and your medicine cabinet." At NÜD, quality is its bedrock. No synthetic materials or fillers are ever added to any of its products, and NÜD always uses specially sourced organic ingredients wherever possible. All product ingredients are of the highest quality and are sourced and manufactured in the U.S. with the strictest of standards. For goal-oriented customers looking to improve specific areas like sexual health, energy, digestion, or muscle mass. For men and women who want to "set it and forget it" with a comprehensive combination of daily essentials, building blocks, and multivitamins for performance, fitness or beauty. Consumers can now forget the one-size-fits-all approach to vitamins and supplements. NÜD offers a quality, organized and flexible product line that gives everyone the ability to customize a plan that meets their individualized nutrition goals. 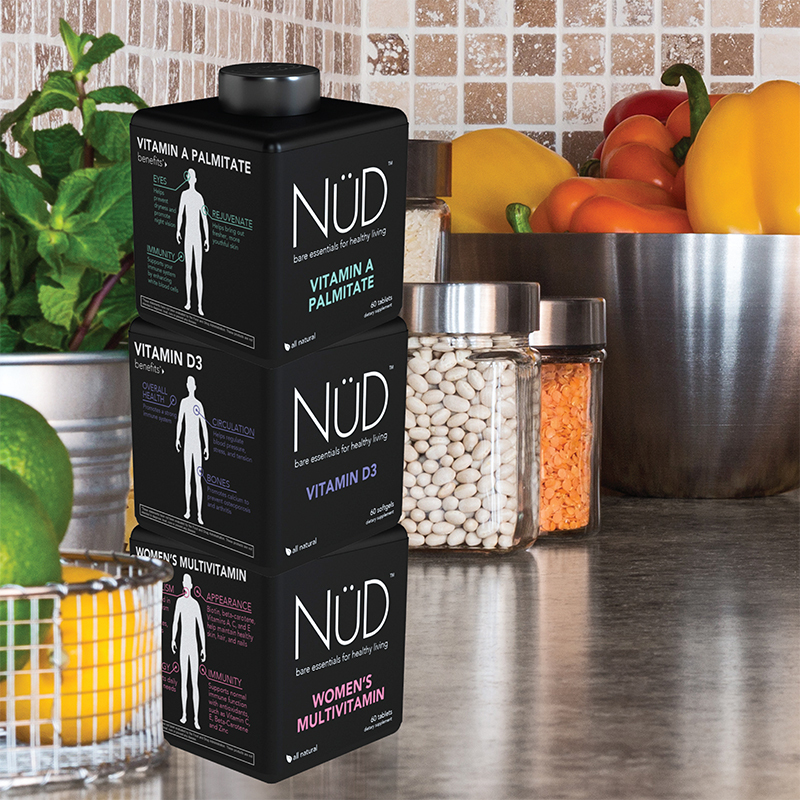 Whether consumers want to focus on such areas as Brain Alertness, Digestive Metabolism, Energy/Rejuvenation, Eyes/Ears/Mouth, Hair/Skin/Nails, Heart and Circulation; Muscles and Skeletal; or even daily Overall Health/Immunity, NÜD has them covered for the long haul. 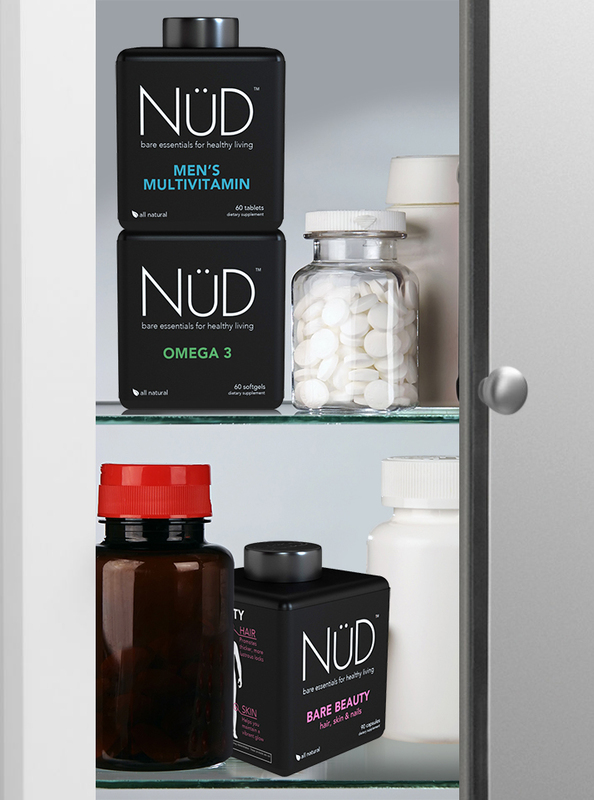 "NÜD is now a reality because three long-time friends and business associates not only wanted to be healthier, but also recognizing a need in the marketplace for a concept that combined high-quality vitamin supplements with a new, more efficient approach to packaging and storage," concludes NÜD co-founder Neil Zelman. "It's thrilling to share with the world our all-natural, mostly organic vitamin products that are NÜD or naked of all those needless fillers. We're also extremely excited to present them in our patented little black stackable bottles. They're perfect for maximizing space in a cabinet, and also designed to be smart looking in their own right on display on a counter, table, desk or anywhere." 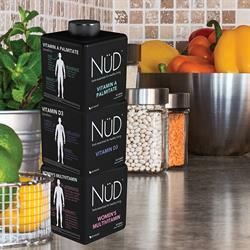 NÜD was founded in 2016 to provide all-natural nutritional supplements and nutraceuticals designed to help maintain optimum health and support any consumer's unique lifestyle. Based in Orangeburg, N.Y., NÜD designs carefully crafted, goal-specific daily vitamin supplements and vitamin packs fit for real people with real goals. No synthetic materials or fillers are ever added to any NÜD products, while specially sourced organic ingredients are used wherever possible. All ingredients are of the highest quality, and all products are sourced and manufactured in the U.S. with the strictest of standards. The concept of NÜD's patented stacked bottle gives consumers both the organization and flexibility to get exactly what they want and need without having to pay for unwanted extras. For more information about NÜD products, visit: www.NUDtrition.com or connect with NÜD via Facebook, Instagram, Twitter. 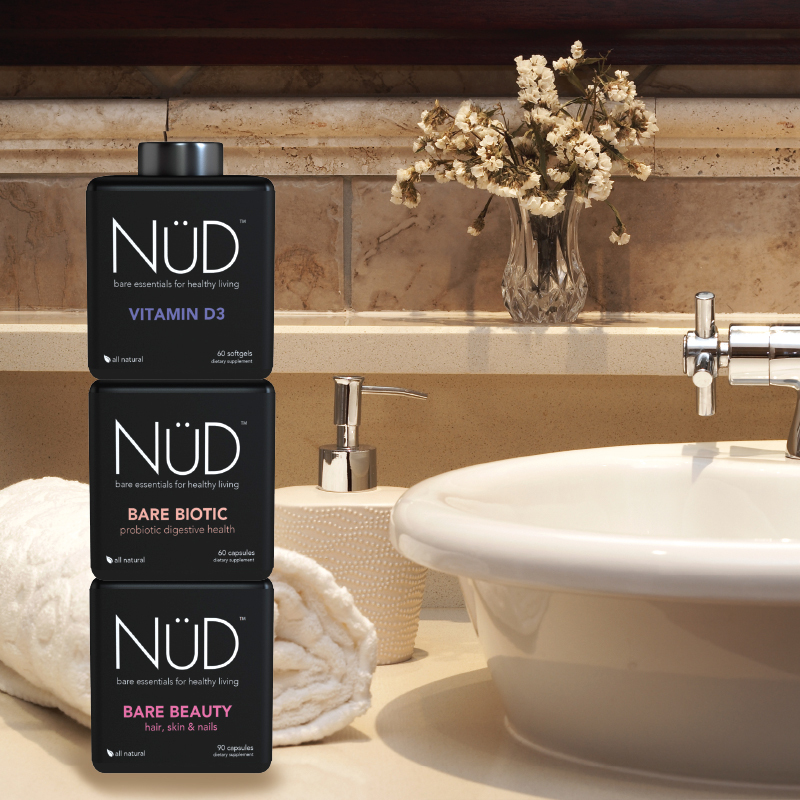 NUD introduces a stripped-down, sleek breakthrough in all-natural daily vitamins and supplements to bring the body the "bare" essentials it needs. NUD stacks science, sophistication and refinement into high-quality daily vitamins, minerals, nutritional supplements and nutraceuticals... and takes the clutter out with patented all-black stackable containers!